Another month has gone by which only means for another Blogger Book Nook post! I get so excited to write these posts every month and I also love reading everyone else's posts too. I honestly can't believe we have been running for over 6 months, it makes me feel so incredibly proud seeing everyone taking part and enjoying the fun that is the Blogger Book Nook! This month the chosen reading prompt is 'Books to Screen'. As you may all know there are so many books that have been adapted into movies and TV shows. I'm sure all of you have all watched a film/TV series that was originally a book and I'm sure many of you have read books in time to watch a new released movie so that you can compare them, I know I have. So we thought that this prompt would be a really fun one for everyone to take part in as there are so many options! As per usual this post will consist of 5 questions related to the reading prompt and a book review/suggestion that also relates to the reading prompt! Is it too cliche to answer this with Harry Potter? Honestly I think the directors did a fantastic job with the Harry Potter films and they were all so entertaining. Obviously they had to miss some plot points out however I feel that what they did include was just perfect and they really are such fun and successful films overall. Inkheart! I loved the film until I read the book and now I'm really sad because they missed out SO much! It was far more darker in the book as well which I really enjoyed - I don't know if that's weird or not? - and they also led into two different sequels which the movie makers could definitely have done but they now can't due to ending the film on a stand-alone presence. A Court of Throns and Roses by Sarah J. Maas of course! OR The Lunar Chronicles by Marissa Meyer!! I really try to read the book before I watch the film/series and when I do I find the film far more enjoyable to watch as you can compare the two together! Though sometimes I just don't fancy reading the book - an example would be Gone Girl as everyone said how disappointing the ending was and I didn't want to waste my time to find out that the ending was crap. p.s. the ending was CRAP! Not when I have read the book first. If I read the book after I watched the adaption I find it difficult to imagine the characters in my head without picturing the characters I saw on screen. A massive example is in the books I'm reading now which I will discuss shortly! I decided to pick up the first book in the Vampire Diaries series. I was and still am OBSESSED with the TV series. I enjoyed the whole series so much so I thought that maybe I would pick up the books in hopes I'll enjoy them too. However, as much as I am enjoying the first book it is incredibly different to the series. Firstly, Elena isn't your sweet brunette struggling with the loss of her parents like in the TV series she's a blonde, school queen with a little more attitude. The only characters that seem pretty spot on are Caroline and Stefan so far. I have heard that the books are incredibly different compared to the beloved TV series however I am still going to pursue with reading the series as I'm intrigued to see what else is different. I'm also re-watching the series again as I just love it SO much! 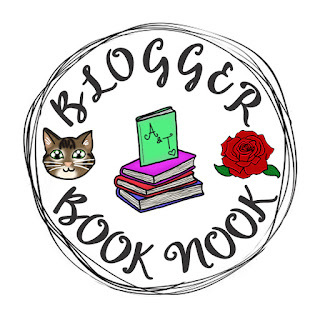 Thanks again for those who have taken part in Blogger Book Nook and I really hope you choose to join in next month too! As you all know Matt and I are heading to Disney World this June and both of us just can't wait. As we are lucky enough to be staying on site, we have bagged ourselves the Disney Dining Package which provides us with 1 quick service meal, 1 sit down meal and 2 snacks a day. It acts like an all inclusive holiday where your meals are sorted throughout the whole holiday. However, instead of just having dinner from one cafeteria, you can use your credits at any of the restaurants/quick service within the parks and at Disney Springs. Matt and I believe that this package (even though it's a little pricey) is such a great deal, as you don't have to worry about where your eating and it allows you to relax when it comes to going to restaurants and you only have to worry about paying the tip at the end of your meal. Another great thing about staying on site and having the dining package is that you can start booking your dining reservations 180 days before your holiday! Which is something Matt and I have taken advantage of as there are many restaurants that definitely need an early reservation due to how popular they are! I thought it would be fun to share with you all the restaurants that we have made a booking for and are excited to visit this coming June on our holiday! We haven't been to Chef Mickey's before but it's a restaurant that I can't wait to visit. It's a character dining experience as well as a buffet and I have booked it for our first evening in Florida. I thought it would be a lovely restaurant to go to on our first night as not only is it a relaxed buffet but you can also meet the fab five in their catering gear. 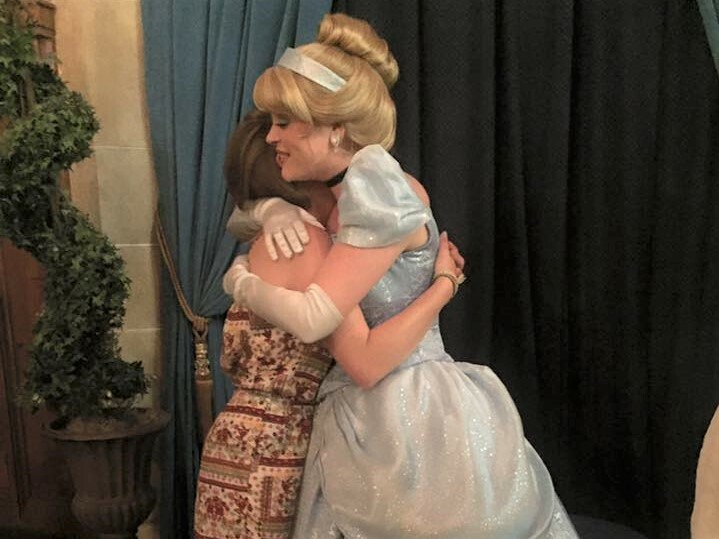 My idea of a great first evening at the most magical place on earth. Honestly, I just can't wait to see my no. 1 guy Goof! Matt and I visited this restaurant twice in our last trip once for breakfast and once for dinner. Overall, we loved going for breakfast the most and so we have booked it again for breakfast for our first morning in Florida! This is what we did last time and it was just magical as we were able to get in to the park before normal opening times and were able to witness the castle for the first time without the huge crowds there normally is. The food at breakfast too was real yummy, not only do you get a main but you also get a platter of pastries along side your main meal! This is another restaurant Matt and I haven't been to before and we wanted to go to a different restaurant we went to for dinner on our first day at Magic Kingdom on our last holiday as we didn't love it as much as we thought. So I can't wait to try this restaurant out for dinner and some people say that this is one of the best restaurants on site! Looking at the menu just makes my mouth water, I have no idea what I'm going to pick for dinner on the day! During our last trip we visited the Spice Road Table in the Moroccan Pavilion in Epcot and we were pleasantly pleased. I remember having the lamb burgers and they were just SO yummy, they also came with humus chips, which I have never had before but they also were yummy! We also loved where we sat. We sat outside under a gazebo by the lake in Epcot and it was just a beautiful evening. We can't wait to go back and we hope we get the same beautiful seats we had last time. Matt's cousin raved about this restaurant when he went to the Disney World a few years ago and unfortunately we were unable to bag a table booking as we didn't book in advance. This year however I have already booked us a table and I'm really intrigued by the restaurant! It's very similar to Rainforest Cafe but instead of your normal animals it's full of dinosaurs! The food is your classic american style but I must say the cocktails on the menu sound delicious! This restaurant is a styled restaurant that I have wanted to go to for so long. This is a Japanese cuisine where the chef cooks all your food right in front of you. They just look so cool as well as really fun and I can't wait to experience this dining experience. We are also going on my birthday which will be lovely and I have deliberately booked it early so that we can "drink around the world" after our meal in celebration of my 22nd birthday! I love this restaurant in Epcot. It's gorgeous and the food is gorgeous too! 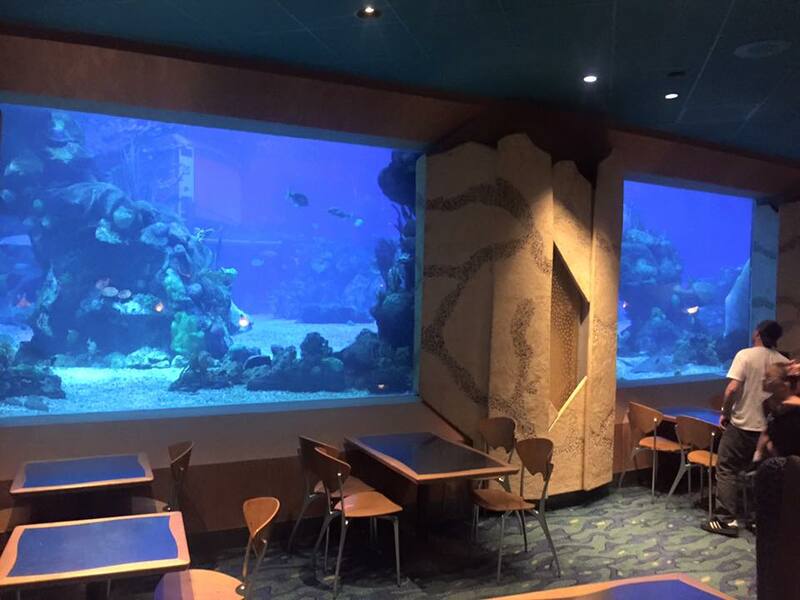 When dining in this restaurant you are treated to the wonderful view that is an aquarium! Yep that's right, this restaurant contains a huge aquarium. I have never been in to a restaurant that has an aquarium like this in their venue. Not only is it do pretty and peaceful, but the food is so yummy (although you do feel a bit guilty when eating your fish dish next to an aquarium that is full of fish...). I am so excited to be putting this on our itinerary! 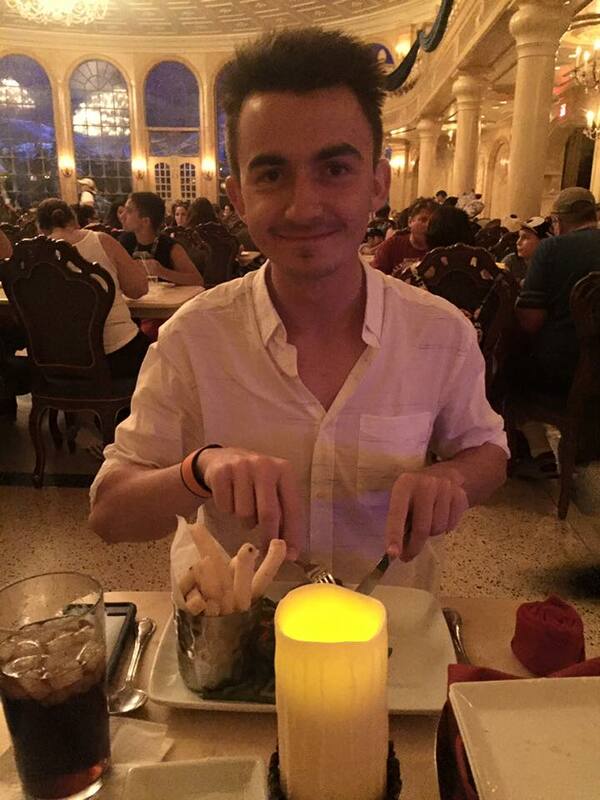 If you didn't know, Disney World also provide dinner shows, where you eat your meal whilst watching a show! This specific one is all based on the Polynesian culture and if you know me, you know that I just adore the Polynesian culture and also know that one day I would love to live there for a part of my life! So as you can see, I am very excited and I just can't wait to watch the show and eat the yummy food! 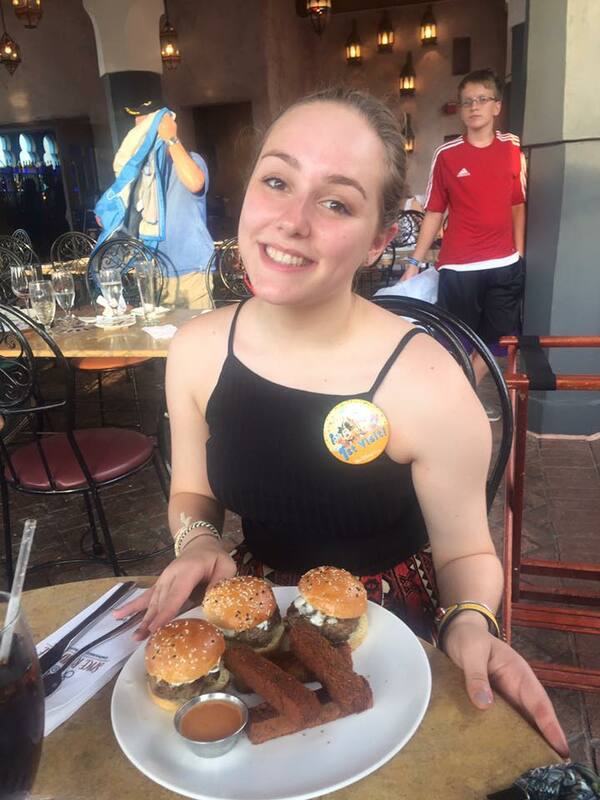 There are a few more restaurants that I have just got to give an honourable mention as although we haven't booked them yet, we are definitely going to visiting at some point over the two weeks of us being at Disney! Those restaurants being: Mama Melrose's Ristorante Italiano, Tuska House Restaurant, Nine Dragons Restaurant and Via Napoli Ristorante e Pizzeria! I honestly can't wait to get Disney just for the food as they offer so many amazing cuisines and yummy food! As much as I love monthly reading wrap ups and TBRs, they stress me out immensely. I always feel bad for not reading loads of books and so I came to the decision of writing a reading round up when I have completed 5 books! I also thought this was a fun idea to do this yearly so I can document how many books I have read throughout the year of 2018 without feeling really stressed each month! I think this is more of a relaxed way of doing things. Anyway, let's get on with the very first reading round up of 2018. I'm so happy I got back into this series. I picked up the first two books way back in 2016 and I never got round to picking up the next books! Crazy, I know. After recapping what happened in the first two books on youtube and then I picked up the third book and damn, I remember why I loved the first two books. The third book follows on with the story and I would go into more detail but I'm scared if I mention anything it will spoil the story. I can tell you however that the whole series is very similar to Twilight but with aliens.. yes, aliens. It's a love story between a girl and a alien, I mean what is not to love!? Overall, I adored the third book and the ending made me cry, making me pick up the fourth book instantly! This is the 4th book in the 'Lux' series and again, I loved this book. I just love this series. So many people rave about it and now I know why. It just grips you and keeps you wanting to read more and more as soon as you start reading it. Again I would love to spill further into this book but I'm afraid that would spoil you badly if I did, so you will just have to take my word for it. PLEASE pick this series up if you haven't already, I promise you it's such a great, fun, cheesy read! This book was everything I loved. When you give me a book that is solely about the fae folk then 9 times out of 10 I will love it. I don't know what it is but I just love reading about faeries and about the history of them. The Cruel Prince follows a young mortal-human girl (Jude) struggling to find her place in the faerie realm. Jude is a very strong character and I loved following her story line. It was really interesting to watch her grow as character. The becomes very dark and nitty gritty and ends in such a way that it has left me craving more! I can't wait for the second book to be released next year. The only thing I would say is that there is an element of bullying in the book and the way it is somewhat resolved isn't the greatest. If you can see past this though, you will definitely enjoy the read if you're a lover of fae and magic like me! This was a beautiful read. If you struggle with your mental health then I would 100% recommend this book. Charlene does a perfect job of addressing her story through the art of poetry. I haven't read much poetry but I really enjoyed reading this book. The book made me reflect on my own life and what's great about this book is that you can other read it in order or you can pick it up and read it in any order! I'm so glad I finally picked up Charlene's book as it was so thought provoking and eye opening. You need to pick this book up if you haven't already and by buying this book you are also supporting a fellow blogger which is another great factor! What a magical book, I wasn't expecting this book to be as good as it was. I haven't read many books about mermaids and so I don't hold huge amounts of knowledge on them but wow, I want to pick up more mermaid books now! This story follows two sisters and their best friend 'brother-like-figure'. One of the sisters is turning into a mermaid and it's vital that she is taken to the ocean otherwise she will become unwell and be lost forever. She also struggles with the fact that the boy she loves, loves her sister, yet she puts on a brave face throughout the story as all she wants is to make her sister happy and to save her. I really did enjoy this book. There is an element in the book that I'm not 100% on but I can look past that. If you love mystical/magical reads like me, then you will love this read! Overall, the first 5 books I have read this year have all been pretty great! I'm quite bad when it comes to rating my books as I'm not too fussy when it comes to reading them! Most of my books average a 3-5 star rating! I would love to know if you have read any of these books and whether you enjoyed them! I'm hoping my reviews will become a little more in-depth as I get more into them! Recently I have been really successful when it comes to following and sticking to my goals. I thought every now and then I would give you an update my goals in the hopes I stick to my goals over the months I hope to achieve them. I enjoy reading goal posts too as it helps me stay motivated to reach my personal goals. This is something that I have been doing so well with recently. I'm hitting my schedule on the nail at the moment, posting twice a week every week for 2 months and I'm so proud of myself. This is something I want to keep up with as seeing my little blog grow in popularity really does bring such a massive smile on my face. I have almost reached 500 followers on Twitter and seeing that's where I post the most, letting everyone know I have published a new post, it indicates that my blog traffic is getting bigger! I know it's not all about the numbers but it does make you happy when your little blog grows. So keeping up with my schedule and staying organised is something I want to try and stay good at. This is something I'm constantly struggling with. It's a constant battle that I have, eating healthy but then bingeing on 4 mini batten-bergs. I'm a nightmare. So I'm determined to make a change. Something I have changed though is my intake on coffees. I drink far to many coffees a day (I could probably drink about 4 cups a day - bad!) and so I have started to drink more herbal teas as they are only 2 calories a cup and they also do wonders to your body. They also taste super yummy and I feel so relaxed and 100% more healthy. Let's hope this healthy eating journey continues! Working out is another activity I really struggle with too. I will go to the gym for 2 days and then I won't go for another week or 2. I'm so bad when it comes to a workout schedule! I'm going to be cancelling my gym membership however as I just don't use it but I do want to implement home workouts into my life. I love Lucy Wyndham-Read's workouts online and so I really want to make an effort of doing these at least 3-5 times a week! I real bad when it comes to saving. I used to be really good at it when I had a job but now that I don;t have a job and I'm a student with no money! So, I really need to get my arse back into gear and get better at saving. I have signed up at my library to stop me from buying more books and I'm just not going to buy anything unless I really need it! My plan is to save up to £1000 before the end of June - wish me luck! I hate how cluttered my room is. I have stuff everywhere! My plan is just to de-clutter my whole room as there is so much stuff in my room that I just don't need. It also makes my room look so messy when I look at how much stuff there really is in there. So hopefully over the next month or so I will de-clutter my room completely (this includes my university room and home room). Maybe when I have finally reached this goal I could share with you a room tour!? Would you be interested in reading a post like that? There you have all my current goals, I aim to achieve these goals over the next month or so and I also plan to right a catch up post later on to let you all know how I'm getting on and whether i have achieved any of these goals!